The majority (85%) of monetary support for TRCNB comes from individual, personal donations. In addition to supporting TRCNB financially, we are always looking for bulk donations of quality products that can be used in the classroom. We accept new and gently used office and school supplies. 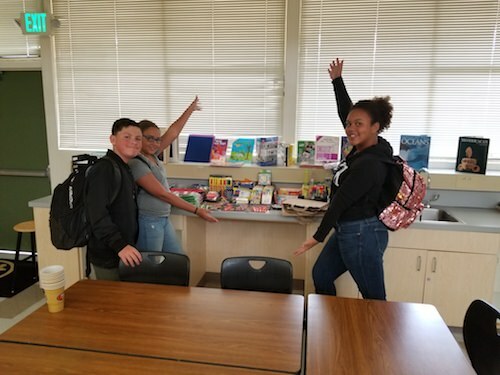 Not only are these useful to our teachers and students, but we are doing our part to reduce our county’s carbon imprint by recycling, repurposing and reusing these donated materials. Volunteers are the heart and soul of TRCNB. They are folks from all walks of life, ages 1 to 92, who keep our doors open through their generous donation of time, energy, intelligence and most importantly their love for kids and teachers. Learn more how to volunteer! We have an average of 6 Dine and Donates per year. It is an easy way to support our teachers and students with an evening out for dinner or takeout if you are on the run. We average approximately $200 per event. Recycle caps and necks of wine bottles that are made exclusively of tinfoil. TRCNB Receives $2.50 per pound and in 2018 alone we have made over $1000 thanks to all the wineries who are saving tinfoil for us. If you are interested in this project > Learn More. Attention all Amazon Shoppers! There’s a great way to support Teacher Resource Center of the North Bay and it costs you absolutely nothing! Amazon Smile is a charitable program on Amazon that allows you to shop as usual and automatically contributes 0.5% of your eligible purchase amount to a charity of your choice. AmazonSmile is exactly the same Amazon you know – same products, same prices, same service. To participate, go to https://smile.amazon.com and sign-in as you normally do at Amazon. 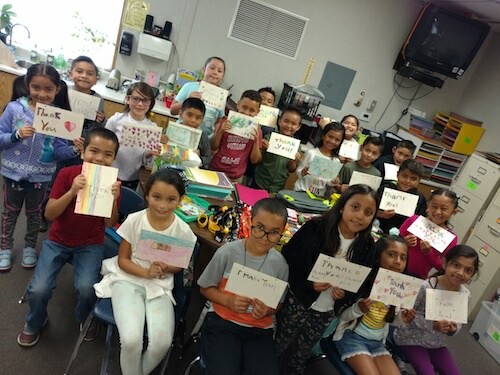 You will be prompted to select a charity – please type Teacher Resource Center of the North Bay in the search box, and you will be able to choose us as your sponsored charity! Continue to use the above link https://smile.amazon.com every time you shop and Amazon will do the rest! Thank you for supporting TRCNB and please spread the word!